Retired NBA player Shaquille O’neal, gives his opinion of who is really the Greatest NBA player, ever played the game of Basketball. 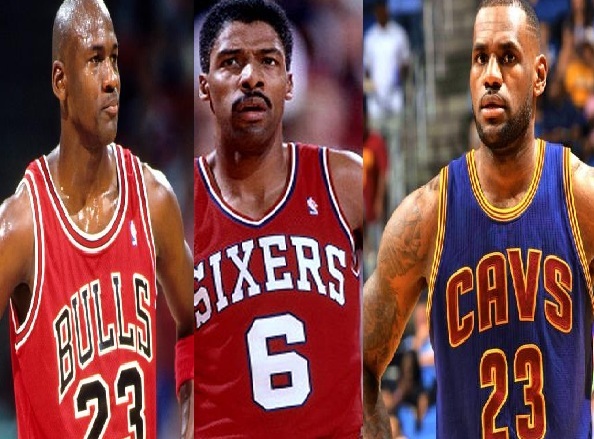 Recently, Michael Jordan said that he will beat LeBron James one on one during his prime. And LeBron James also said that He will take anybody on his prime. But the Diesel, Shaquille O’Neal, has one thing on his mine, on who of the two most compared player that will win if they had a chnace to play a game one on one during their prime. O’Neal, said that Michael Jordan, will definitely beat LeBron James in one on one both on their prime. Michael Jordan is special, he does impossible things just to win and he is a winner. On LeBron James, he is more of like Magic Johnson, a passer and like to get it up. But for Shaq, the Greatest player of all time is not on the two, he chooses Julius “ Dr. J” Erving, the man, who’s name is less mention when it talks about the Greatest of all time. O’neal, idolized the Dr. J, it is his favorite NBA player, as he said it! That’s why maybe he thinks he is the greatest of all time. In General, all over the world, thinks and perhaps true, that Michael Jordan, is the Greatest of all time? But LeBron James, is trailing him, he is there and always talk about of being the guy to surpassed Michael Jordan. LeBron James, has still a chance to prove to all that he is the Greatest, he has many more years to play at 30 years old, he has a lot of time to chase Jordan. When all is set and done, if James reach the end of his career then, perhaps the question will finally answered. No Comment to " It's Not Michael Jordan Or LeBron James But Julius "Dr. J" Erving, Is The Greatest Player Of All Time By Shaquille O'Neal "